Only the best is good enough for you: Every month we sample a wide variety of craft beer. We select only the finest taste for the craft beer club. Every crate is made up of different styles of beer. You'll experience a broad range from IPAs and porters to belgian triples and extraordinary lagers. Your free delivery is scheduled for the middle of the month, so you can regularly look forward to enjoying new beers. Taste them alone or with friends. What can I expect in every box? Every month we include as much diversity as possible into our boxes. 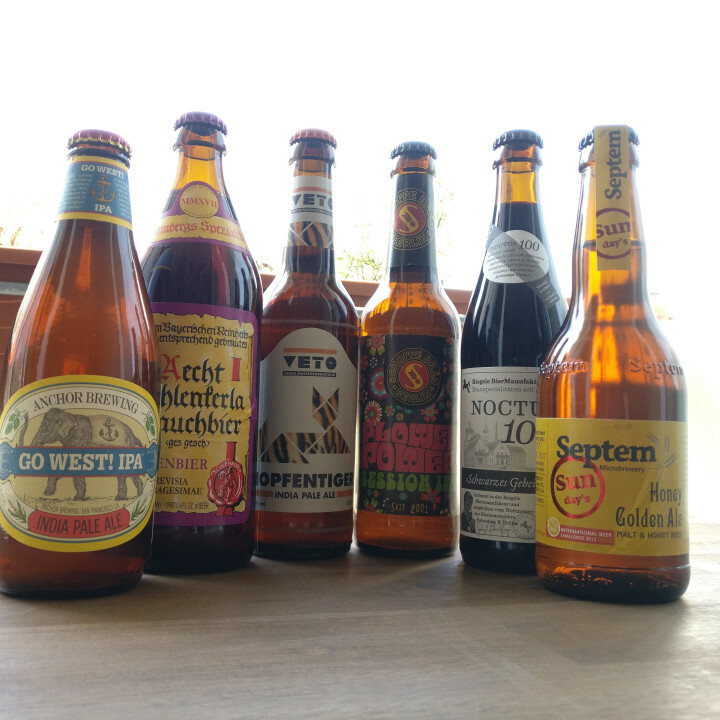 You will therefore find 2-3 very hoppy beers, 1-2 malty ones, a Belgian brew and something extraordinary in every package. Discover more about the beers and brewers. Herzgebraut is German for brewed with the heart and describes the passion and love that many brewers put into their beers. This is exactly the kind of passion that we want to support and that's why we started Herzgebraut. We want to be a reliable source of excelent beer that you've not had anywhere else yet.